Are you exasperated with your dry, flaky skin? Would you rather wash your face with water than take the plunge with some unknown beauty products? Hypersensitive skin can be challenging to live with but we’re here to share with you some ways to cope and restore the ZEN back to your skin. The sensitivity of our skin increases when our skin’s tolerance threshold decreases or when the skin’s protective barrier function is impaired. Consequently, it makes us more vulnerable to irritants and allergic/ skin sensitivity triggers. While everyone’s skin reacts differently under certain circumstances, common conditions/irritants that can cause sensitivity include harsh beauty products, environmental pollutants, sleep deprivation, fluctuating hormones and stress. It is essential to know your own skin triggers so as to maintain a semblance of balance and well-being and to prevent (as much as possible!) adverse reactions to the various stimulants. It can be an arduous journey but don’t fret! Here’s 6 skincare tips to help ease your frustrations. If your skin is sensitive, simplifying your skin care routine can yield promising results. When you overload your skin with too many products, especially abrasive ones, it may trigger more redness and irritation. One of the most common skin care mistakes people make is over-cleansing their skin. You shouldn’t be cleansing your face more than twice a day or you risk stripping your skin’s natural protective oils. If your skin is sensitive, you may want to try limiting your morning routine to simply rinsing your face with lukewarm water (hot water is too drying) and applying moisturizer. If you haven’t read any of our previous blog posts (and even if you have! 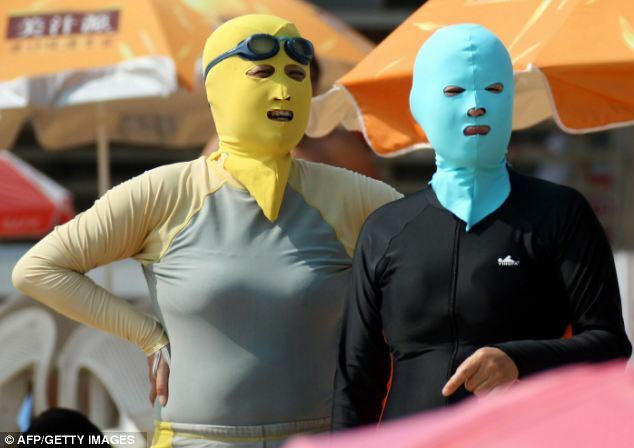 ), we are going to say it here again: The sun is our skin’s nemesis! Applying sunscreen is an essential part of caring for sensitive skin. And the best form of protection is to block those harmful UV rays from ever touching your delicate skin, so we’re recommending to use sunscreens with physical UV blockers such as zinc oxide and/or titanium oxide. Apply a lightweight sunscreen with an SPF of 30 or more and reapply after swimming, sweating, or spending more than two hours in direct sunlight. Do wear long sleeves, sunglasses and hats especially if you’re out between 10am and 4pm when the sunlight is at its most glaring. Thanks to the Internet, we now have easy access to a wide array of beauty products. However, finding the right skin care products for your skin can still be a challenge. Introducing something new could potentially cause problems for your skin – irritation, redness, breakouts. When in doubt, always ALWAYS do a patch test for compatibility. A patch test is a precautionary measure and it simply means applying a small amount of the product to a small, discreet patch of skin, like behind your ear, wrist, neck or the inside of your elbow. Then, wait 24 hours so you can look for signs of adverse reactions. Sufficient hydration and adhering to a balanced diet are good habits in maintaining healthy skin. If you have hypersensitive skin or skin conditions like eczema or psoriasis, then avoid foods like wheat, dairy and eggs which are known to trigger allergic reactions. It will also be good to reduce your consumption of processed foods especially those that contain hidden sugars (including yoghurts, snack bars, cereals). Taking sugar in small amounts is harmless but taking a lot of it, (which can happen when it sneaks into your diet in so-called ‘health’ foods aka the hidden sugars) can throw your hormones off-balance and upset your gut and immunity and worsen most skin conditions. Most of the time, it is difficult to pre-determine what your triggers are. One of the best ways to avoid skin irritation is to give up fragrances and use products that contain no artificial scents. Unless that floral essence is extracted from the actual flower, it’s best to go au naturel. Choose products that are hypo-allergenic and fragrance-free. If you wear make-up, look for oil-free, water-based, and non-comedogenic cosmetics.